Winslow Homer, one of my favorite painters, once gave a quote about painting, and it’s one that I think about often. When you paint, try to put down exactly what you see. Whatever else you have to offer will come out anyway. I think that advice rings true in more than just painting. The power of art, as he seems to say, comes from something more than colors on a palette or striking subjects, because all of it comes from what the artist sees. He also seems to be saying that originality should never be one’s aim, but rather, an artist should focus on what they see, and in so doing they will develop a unique perspective. Another benefit of this is that it takes the critical focus off of the intangible and shifts it to the tangible. When someone critiques the work of an artist who translates only what they see, the critique is no longer on the work itself, but on the way that artist sees the world. 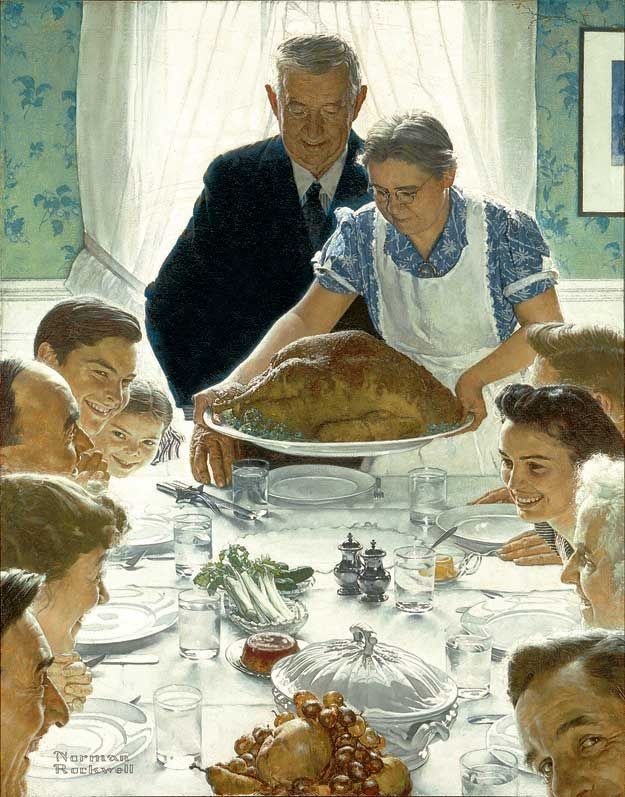 One artist who faced this–and continues to with the art he left behind–is Norman Rockwell. A while back, I was reading an article about Rockwell, and I was surprised when I began to read through the comments on it. I’ve always liked Rockwell’s work, but the discussion brought up some views of his work that I’d never considered. The discussion took off when someone stopped talking about the form of his work and started talking about the purpose of his work, or at least, their perception of it. Much to my surprise, I found that there were many others who had things to say about the matter, enough so that his work quickly became perceived as controversial. As it turns out, that’s exactly where the controversy was. Some thought that his paintings were too idealistic and that they didn’t portray reality. At first, this struck me as a bit unfair, in that they were attacking Rockwell’s own ideals. Still, it brought up an interesting thought that was based on truth, that truth being that an artist’s perception of the world can be skewed by his or her own beliefs and ideals. In my last post, I mentioned an observation that a friend passed on to me. It was this: “The eye sees what the mind anticipates.” The context of the quote came from a courtroom setting, specifically regarding a jury, but it speaks to this topic as well. How can an artist, or anyone really, trust what they see if sight is so easily manipulated by one’s own convictions and biases? The relationship between the two seems not unlike the relationship between the heart and the tongue mentioned in The Gospel of Luke. On the opposite side of artists like Norman Rockwell, there are individuals such as Flannery O’Connor. O’Connor wrote stories about people in the south and the way she saw them. The way she portrayed characters in her stories, particularly the evil characters, has made many claim that her writing borders nihilism, even to the point that she herself, though she was a Catholic, was actually a nihilist. If you read her stories, particularly stories like A Good Man Is Hard To Find, it’s easy to see how some could make such bold claims. Often in her stories, evil seems to dominate the focus, so much so that many can read her stories and see no redeeming qualities whatsoever, even though her essays claimed that her intentions were starkly in contrast to that. She saw violence as something that revealed truth, even grace, but some only saw the violence. Even so, O’Connor’s beliefs shaped the way she saw the world, and just as some viewed Norman Rockwell as an idealist because of the nature of his paintings, people viewed O’Connor as a nihilist due to the large presence of evil in her stories. So what does this say about art? Can any artist translate what they see without the influence of personal bias? It seems almost inevitable that one will affect the other. And because of this, art reveals something about us. Even Homer seemed to be aware of this with his quote. An artist is revealed in his or her art, even when their intention is to be like someone else. This however, does not make the things they see any less real. To illustrate this point, consider the song “What A Wonderful World.” It’s a pleasant song that has outlasted its generation, but it poses a similar quandry to that of Norman Rockwell’s work. An argument could be made against the song, saying that its view of the world isn’t based on reality. Some might even say the song is delusional. But consider for a moment what’s being said in the song. Does everyone in the world have a rainbow of a smile on their face at all times? Absolutely not. Some would even say that such a song has no power to do any good in the world, because it fails to see the world for what it is. I’ve even wondered about the song myself. Is it healthy to sing songs like this? Is it valuable to look at the world in this way? That, as they say, is where the magic happens.